The ORBIT Network is the SS&TP’s own fiber optic communications backbone, housed in a secure underground conduit system, connected to a controlled-access structure (the Point of Presence building known as the POP), and extending throughout the SS&TP properties. The network specially designed to meet the security and communication needs of this technology community. Are you planning new phone and internet service at the SS&TP? Or do you want to improve your current service? Then consider the ORBIT Network. With ORBIT you have options. We’re the high-tech portal to new systems and alternate providers. 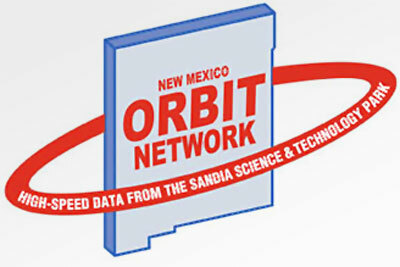 For service details contact Carl Becker by email at lcbecke AT sandia DOT gov or phone at 505-385-0288. ©2011-2019 Sandia Science & Technology Park; all rights reserved.